Guided wild horse tours, a challenging ropes course, the Currituck Lighthouse - these are all exciting activity options in Corolla. There are many attractions to be seen in this beautiful landscape nestled between the ocean and the sound. Browse our list of activities below to find options for the adventurous to the laid-back, from surfing in the Atlantic Ocean to yoga in a quiet studio. Search for activities with the Twiddy Preferred badge to find recommendations from the locals on our team. What kind of activity are you looking for? Surf gear and apparel. Surf lessons and rentals also available. Located in Monterey Plaza, Corolla. Shop top surf brands and learn to surf with killer lessons. A premier choice for 4x4 and segway adventure tours, Back Country Safari Tours offers off-road eco-excursions by way of sport utility vehicle, segway or kayak. Located in the Corolla Light Town Center, these guys will help you explore the Outer Banks in a whole new way. Since 1962, Corolla Outback Adventures have offered off-road four-wheel drive tours, teaching visitors and natives alike about the fragile ecosystem and local folklore. Located next to the Corolla post office, Corolla Outback Adventures will take you on a ride through the wild horse sanctuary guided by seasoned veterans. Led by knowledgeable guides that have been certified by the Corolla Wild Horse Fund, Corolla Wild Horse Tours guarantees you will see the wild horses of the 4x4 Beaches of the Outer Banks along the 25-mile, two hour trip of off-road cruising and educational exploration. Set out to find Corolla's Wild Spanish Mustangs through three different ecosystems on an open-air Hummer tour through the Carova "outback." Soar high above the rest with the Outer Banks' premier parasailing authority. Their locally Licensed 100 Ton Master Captain owner-operators have over sixty years combined industry experience and will be parasailing from the Northern Beaches, Duck, and Corolla - proving to be an unmatched parasail empire here on the OBX. Three convenient locations in Duck and Corolla. Connect with your family and friends while experiencing the culture and beauty of the Outer Banks like never before! Head out in a kayak, crab boat, or paddle board in the heart of Historic Corolla Village and let the professionals guide you through the interesting ecology and spectacular scenery found on the OBX. Fishing fun for the whole family! Friendly, local knowledge, rod and reel rentals, crabbing supplies and rentals and charter fishing trips. Located next to the Inn at Corolla Light and the Harris Teeter Shopping Center. Located « mile north of the Currituck Lighthouse, the Corolla Adventure Park opened in the summer of 2016 after the success of its sister park in Nags Head and is now the largest aerial adventure park on the Outer Banks! The famous Kitty Hawk Kites offers parasailing, wakeboarding, water skiing, tubing, jet ski tours and rentals, kayak rentals, surfboard rentals and more! Providing safe, family fun to see the wild horses of the Outer Banks, the guides of Back Beach Wild Horse Tours will teach you about the history, wildlife and vegetation in an entertaining way while cruising in an open-air safari-style vehicle. Offering guided tours to see the wild horses of Corolla in an open-air safari-style truck, while viewing the beautiful Outer Banks landscape, other wildlife, and hearing about famous Outer Banks folklore and tradition, Bob's Wild Horse Tours is one of the many entertaining horse tours available on the Outer Banks. With a full fleet of kayaks and 4x4s, Corolla Jeep Adventures offers wild horse tours, safari truck rides, and even the option to drive one of their Jeeps yourself to create the touring adventure that is right for you! Preserving the past, managing the present, and improving the future. The Donal C. O'Brien Sanctuary in Corolla is one of the last pieces of untouched property on the northeastern portion of the Outer Banks. A 60-acre education campus, surrounding a historic 1913 hunt club, hosts researchers, adult education participants, and conservation leaders striving to ensure a brighter future for birds and other wildlife. The public can enjoy the property through kayak tours, public programs and a 2.5-mile nature trail. Kiteboarding lessons and classes taught in the shallow waters of the Currituck Sound, with the beautiful Historic Whalehead and Currituck Lighthouse as the backdrop. From beginner to advanced, Corolla kiteboarding has the gear, experience and expertise to get you where you want to go! Championship Outer Banks golf course designed by award-winning course designer Rees Jones. Ideally situated on the Currituck Sound, this course is one you won't want to miss during your next Outer Banks vacation. One of the most popular "attractions" on the Outer Banks are the wild Spanish Mustangs that naturally inhabit the northern beaches. Take one of the many horse tours or enjoy the 4x4 beaches in your own personal vehicle in hopes of catching a glimpse of these beauties. Be sure to maintain a safe distance and follow the rules of the Corolla Wild Horse Fund when in close proximity to the animals. Restored by Outer Banks conservationists in 1991, the Currituck Beach Lighthouse was built in 1875 and is one of the few lighthouses in North Carolina that are open to the public for climbing. Located right in the heart of Historic Corolla Village, the red-brick lighthouse provides climbers with a panoramic view from sound to sea, lending a spectacular perspective of the delicate barrier islands that make up the Outer Banks. 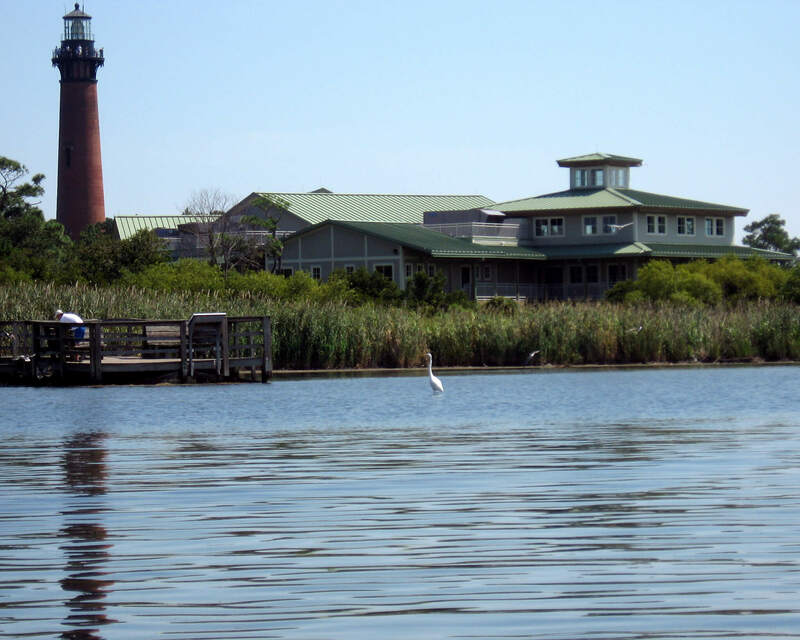 With more than 250 decoys, an exhibit gallery, an 8,400-gallon aquarium, gift shop, daily tours and free admission, the Outer Banks Center for Wildlife Education is an excellent place to bring the entire family to combine education, local history & excitement in one local attraction! The center offers educational programs for all ages (reservations required) including birding, kayaking, decoy carving, fishing, nature walks and beach exploration. The perfect place to catch a sunset, launch your boat, let your kids run around or have a wedding, Whalehead in Historic Corolla provides a backdrop like none you've ever seen! Built in the 1920s, this stately soundfront estate, situated at the base of the Currituck Lighthouse, has served as a private vacation residence, a boys' school and an army training base. Today, it is open for daily tours and is the location of many of the wonderful events and activities held here on the Outer Banks. Spreading the love of Outer Banks surfing while providing a safe, positive, and fun experience to surfing students of all ages and skill levels. On-site surfing lessons from Corolla to Hatteras. When we think of Corolla we think of glorious sunrises, amazing sunsets, and a beautiful landscape nestled between the sound and the sea. These attributes lend vacationers and locals one-of-a-kind activity opportunities to experience all that Corolla has to offer. Tours led by locals who love Corolla lead you to hidden gems, exhilarating watersports are just waiting for the adventurous at heart, and other activities, such as fishing trips allow you to tailor-make an unforgettable experience during your next Corolla vacation. 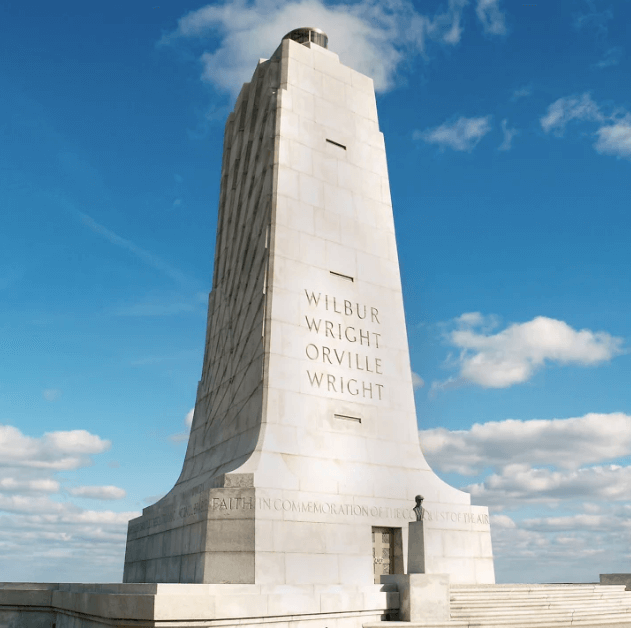 Whether you’re dreaming of a trip to relax, adventure or a mixture of both, click on a category to get started and find a handful of memorable things to do in Corolla, NC. Have you explored Corolla and ready to see what else the Outer Banks has to offer? Check out activities offered in neighboring towns.